The conscious mind includes such things as the sensations, perceptions, memories, feeling, and fantasies inside of our current awareness. Closely allied with the conscious mind is the preconscious, which includes the things that we are not thinking of at the moment but which we can easily draw into conscious awareness. Things that the conscious mind wants to keep hidden from awareness are repressed into the unconscious mind. While we are unaware of these feelings, thoughts, urges, and emotions, Freud believed that the unconscious mind could still have an influence on our behavior. Things that are in the unconscious are only available to the conscious mind in disguised form. For example, the contents of the unconscious might spill into awareness in the form of dreams. Freud believed that by analyzing the content of dreams, people could discover the unconscious influences on their conscious actions. Freud often used the metaphor of an iceberg to describe the two major aspects of human personality. The tip of the iceberg that extends above the water represents the conscious mind. As you can see in the image at the right, the conscious mind is just the "tip of the iceberg." 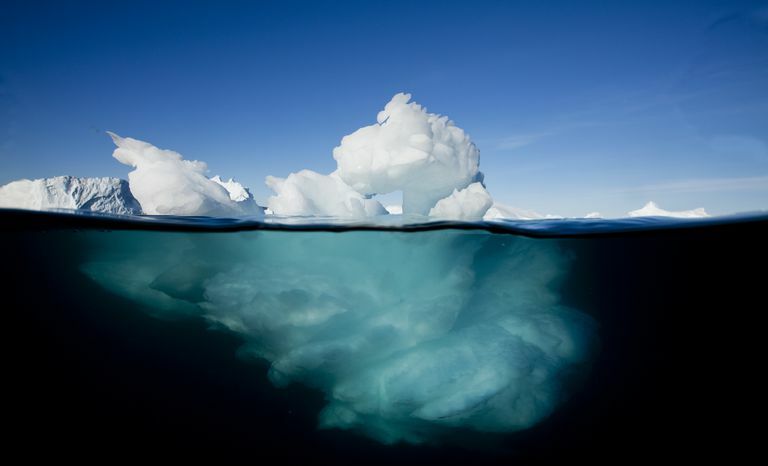 Beneath the water is the much larger bulk of the iceberg, which represents the unconscious. While the conscious and preconscious are important, Freud believed that they were far less vital than the unconscious. The things that are hidden from awareness, he believed, exerted the greatest influence over our personalities and behaviors. Conscious vs. Preconscious: What’s the Difference? The preconscious mind, also known as the subconscious mind, includes things that we might not be presently aware of but that we can pull into conscious awareness when needed. You might not presently be thinking about how to do long-division, but you can access the information and bring it into conscious awareness when you are faced with a math problem. The preconscious mind is a part of the mind that corresponds to ordinary memory. These memories are not conscious, but we can retrieve them to conscious awareness at any time. While these memories are not part of your immediate awareness, they can be quickly brought into awareness through conscious effort. For example, if you were asked what television show you watched last night or what you had for breakfast this morning, you would be pulling that information out of your preconscious. A helpful way to think of the preconscious is that it acts as a sort of gatekeeper between the conscious and unconscious parts of the mind. It allows only certain pieces of information to pass through and enter conscious awareness. Phone numbers and social security numbers are also examples of information stored in your preconscious mind. While you do not walk around consciously thinking about this information all the time, you can quickly draw it out of your subconscious when you are asked to relate these numbers. In Freud’s iceberg metaphor, the preconscious exists just below the surface of the water. You can see the murky shape and outline of the submerged ice if you focus and make an effort to see it. Like the unconscious mind, Freud believed that the preconscious could have an influence on conscious awareness. Sometimes information from the preconscious surfaces in unexpected ways, like in dreams or in accidental slips of the tongue (known as Freudian slips). While we might not be actively thinking about these things, Freud believed they still served to influence conscious actions and behaviors.